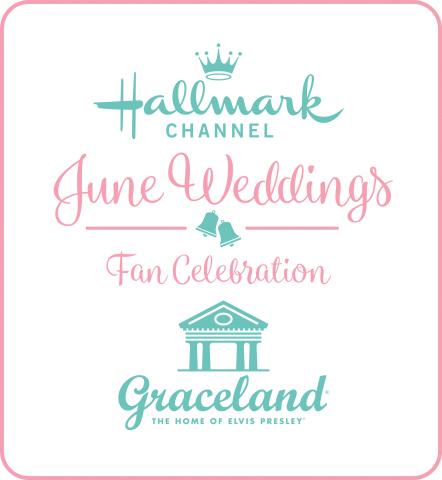 Its a Wonderful Movie - Your Guide to Family and Christmas Movies on TV: Get that Popcorn Ready... CHRISTMAS MOVIES Popping Up on Hallmark Movies & Mysteries - for June & July!!! 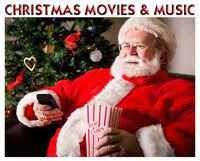 Get that Popcorn Ready... CHRISTMAS MOVIES Popping Up on Hallmark Movies & Mysteries - for June & July!!! I thought today I would mention the ones that are currently listed, with their times, which MIGHT POSSIBLY (most likely!) CHANGE - before they air, but it's still fun to look ahead! The SCHEDULE previously listed here has changed. Please see the newly revised Christmas TV Schedule *HERE* for additional updates! Christmas Movies return the end of June! Ok! Here we go! Happy Feet again!!! That page was just recently updated to make the dates very prominent. Surely someone will go to their website and look up the page and find the incorrect dates (if they are, indeed, incorrect). Last year, Gold Crown Christmas started on Friday, July 7th, so starting on the 6th this year would make sense, if that's what happens, although I would prefer a late June start. That is certainly interesting... Perhaps they are already changing the schedule around! The movies listed above haven't changed their dates and times - yet! But, we'll see! Scheduling changes this far in advance... dates and times - are always a possibility! Thank you for bringing this bit of news to our attention. The news that Hallmark Drama channel is having Christmas movies on the last week of July maybe is the reason for this Gold Christmas date change? Hallmark Movies & Mysteries may run from July 6th through the 15th. Regular Hallmark channel from around the 13th through the 22nd and the Hallmark Drama Channel from around the 22nd through the 31st. Almost a full month of Christmas in July. That would be awesome!! Maybe this is the case, as I think it may be a little weird to have Christmas movies on the 4th of July, but I guess I am not a good judge of that cause I watch them all the time. So starting July 6th would be better. Although I do want to watch these movies asap. How Exciting!!! It truly is Christmas all year round here in our little Net (pun intended) community. If our virtual Christmas town here were to transform into a literal Christmas town we would be exactly like the movie "Christmas Land." The one with Marsha Brady in it. Net would be the mayor. The Christmas escape is a real transcendent experience. Oh, thank you, Jim! It seems every time I turn around- there's Christmas news to share... and I love it... and I'm so glad you love it, too!!! Thank you for your vote for Mayor of Christmas town, that is so sweet! It would be wonderful if we could all live in happy place like "Christmas Land!" Each time we watch a Hallmark Christmas movie, for that two hours- it absolutely does feel like we are all there- together! Yay cant wait!!! Thank you for sharing. Also wanted to share that the 3rd installment in the Finding father Christmas and engaging father Christmas will debut on HMM most wonderful movies of Christmas this year and is called "Marrying Father Christmas". That's right! "Marrying Father Christmas" with Erin Krakow, Niall Matter, and Wendie Malick is coming this Holiday Season! I have that title and others listed on my Christmas Movie List - here! There are lots more Christmas movies currently filming or in production, and I'll be adding those to the list, too, when the networks officially announce them. It sure is! Christmas is right around the corner! Love it. I was telling a colleague yesterday that I can't believe we are almost to Memorial Day. Where does the time go? I'm really looking forward to the mini-Christmas weekend that they are putting on, and my wife and I are planning on adding some older Christmas movies to our collection this year, both from Hallmark and some of the other classics. This allows us to have a wider range to choose from when the time comes! I've mentioned this before, but I so appreciate Net and the upkeep that is given to this site. I find just as much information here as I do in some of the bigger movie sites. Hope everyone has a good week! Exactly, Brent! "Where does the time go?" It's simply flying by! And, while I love counting down... I'm always cherishing every day, every moment, as much as I possibly can... as I know you all are, too! For Christmas in July on Hallmark... it's even BIGGER than a weekend; this is not the complete schedule and it's highly likely some may change around, a bit, and more will surely be added! As far as we know right now, Hallmark Movies & Mysteries Gold Crown Christmas programming block will air from June 29, 2018 to July 8, 2018. And... Hallmark Channel’s Christmas Keepsake Week will run from July 6, 2018 until July 15, 2018. Thank you so much, Brent, for your incredibly kind words on my site! I do my best to keep everything up-to-date... I truly appreciate your support and feedback! Means so much to me! Oh my, Hallmark Drama doing Christmas too? I am so worried it will be some of the older movies that I love, its sad they took off Northpole last year and put it on HMMNow. I know there are almost too many movies to play on 2 channels (that is a wonderful problem to have). 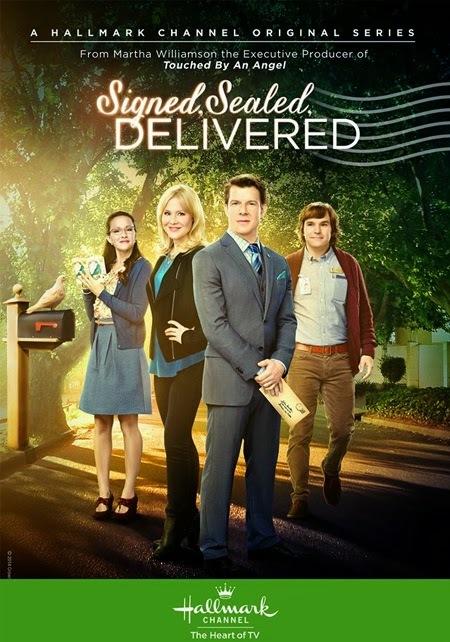 We need to write to directv every day until they give us Hallmark drama. there are so many good movies over there that I miss and don't have on my DVR like Backyard Wedding, The Wish List and they used to have Always and Forever too. I feel the same, Sabrina... I hope they don't remove too many of the ones we loved in the past. With so many new ones, the old ones get quickly replaced. I, too, missed seeing Northpole last year. Thankfully, I have it on DVD. And, I missed "A Season for Miracles," too. I also have it on DVD, but there's something wonderful about watching it on TV - knowing my family and friends, just may be watching the same thing - in their homes, too! I've been thinking on Hallmark Drama- wondering if there is some sort of campaign we DirectTV subscribers could do - to request the station. I'm working on something, if they don't add it soon. I keep hearing those magic words, "It's coming...!" Uh, huh? Sure? And, so is Christmas! ha! ha! One more note on the Hallmark Drama, I noticed recently I saw a commercial from Hallmark and they were promoting HM and HMM, and then they said "Introducing Hallmark Drama". I was like Introducing? this has been out since October. But maybe this is a push by them to get the other networks to carry? Or maybe is because other networks are picking it up? I call directv often asking for Hallmark Drama, but I always seem to get someone that I can not understand very well so it seems they outsource their calls to another country, and they don't even know what Hallmark is. So I can never get them to understand Hallmark drama, they just look on their computer and give me the same answer I see on their website. Very frustrating. Thank you Net for the shout out. The only thing I might say, didn't hallmark always play the Christmas movies all weekend long, and then Monday thru Friday go back to the playing only a few a day? I was wondering if that was the case, but hoping I was wrong. I am sure more movies will be added in cause I didn't see any of the Father Christmas, I'll be home for Christmas, or Christmas Homecoming, which were very popular movies. I am just so exited to see these movies, and so excited to see Once and Twice Upon a Christmas on the movie list. Thank you, Sabrina! 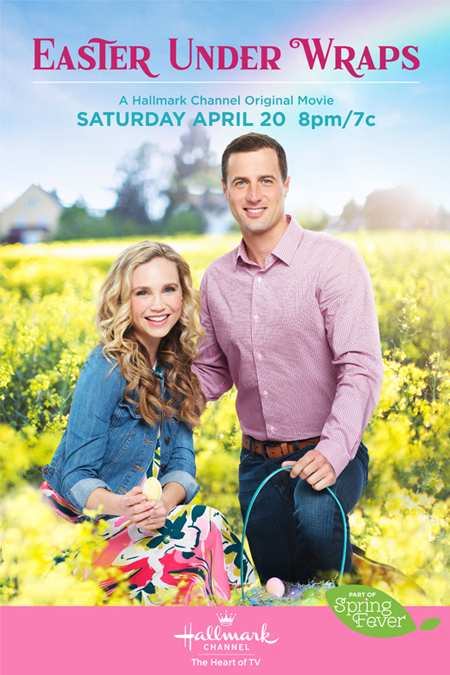 I know how much we both enjoy discovering NEW movie news on Hallmark's web-site! And, Christmas is the best news of all!!! You are so right, in regard to how they played the Christmas movies in the past. I looked up my archive of the 2017 Christmas in July schedule (see here) and that's correct, HMM played in 2017 - Christmas movies all weekend long throughout the day, and only two Christmas movies on weeknights at 7PM and 9PM. This schedule this year is definitely a BIG improvement! Yes! Directv definitely needs the Drama channel. I'm glad you have a plan! And speaking of Directv, the hard drive on my DVR seems about to die as the picture on the TV keeps freezing up. This is the 2nd box I've had in 2 years, so they don't last long. Ugh!! I lose all my recordings when the box has to be replaced. Has anyone else had that happen? I have 2 of the oldest dvr boxes, one is from like 6 years ago and I have the 1st genie. The directv guy told me recently "you know we have really uograded this genie and you can get the new genie". I said "No thank you". why trade them in if they are working, and it seems all the new ones break like you mentioned Any G. I am not losing my many, possibly hundreds of hours of recording these hallmark movies. I still have the original airings of the 1st year of Fall Harvest, Autumn Dreams, Harvest Moon and October Kiss on my dvr. My husband desperately wants the new genie, but I just can't. The oldest dvr box in my bedroom, it doesn't hold as much but I may have to keep both of them and let him have the new genie in the living room. I wish there was a way to send the dvr to something so you don't lose your movies. I have many of the hallmark dvd's, but I just don't want to lose my original airings. My advice is NOT to change, either! Not unless you absolutely have to. These newer boxes simply do not last - we've gone through color changes and all sorts of trouble with newer receivers. Thankfully, we are fine now, but a family member just had to have an upgrade and all the tech had on the truck was the most expensive model - with the new genie, of course! And now, the brightness on their TV goes down, at various times. My advice... hold onto what you have as long as possible!!! That's what is nice about these Streaming Services like Direct Now, Sling TV etc. You aren't tied down with any equipment. It's all in the cloud. The DVR recordings are all in the cloud. You can watch them through all your streaming devices like Roku, Apple tv, Smart phones, tablets etc...You can also watch them while on the go. I can see Sabrina while caught in a traffic jam watching a Christmas movie on her Ipad...haha. They are perfecting them. There's glitches at this time. Directv Now's DVR is only in beta but soon to come out. Sling TV's DVR worked great for me at Christmas time. I recorded over 40 movies and didn't have even one glitch. That really surprised me. That was never the case when I had cable. The only catch is depending on which streaming service you get there are limitations. Sometimes the space is limited. Sometimes the time they keep them is limited. Services like Hulu Live have where you can pay extra and get a ton of space that doesn't time out your recordings and also allows you to skip commercials. You have to shop around and read all the details very closely to see what limitations there are. There are sites out there that compare all of them and tell you what each offers. Oh, goodness, I'm not getting a new Directv Genie box unless mine dies, as it did about a year ago. Last week, mine was showing signs of dying again but thankfully the last few days have been fine so maybe, hopefully that was a false alarm. It is devastating to have to get a new box and lose recordings! I wish I had one of the older, more reliable boxes. Oh Jim that's so funny, as I have listened to a hallmark movie or 2 on my way to work. I am laughing and so happy with that comment, my husband got mad cause I used a lot of our phone data doing that so I had to stop. Unfortunately, I live in the sticks, and the only internet we can get is a satellite, and my Mother and father in law have it, and it stinks. So we have to use our 20 gigs of date for the internet at home from our phones, and that does not allow for streaming. But.......at work, we have wifi, and guess what I listen to while working????? I can log in thru Directv app, and at least watch the movies that have been played in the last 72 hours. And..........the Hallmark channel everywhere app has lots of good movies, and I also got HMNow. I am a sucker for hallmark. But someday if they ever bring Verizon internet out to where I live I am pretty sure we will get Directv now or something that we can get just the channels we watch, cause I'm telling you, I watch maybe 7 channels in total, 2 being hallmark, HGTV, Food Network, TLC for Trading Spaces and Long Lost Family, and my husband has HBO for his Westworld and GOT. I do watch UP too sometimes when they aren't playing AFHV and play movies :) Heart of the Country is on that channel, such a wonderful movie. Jim, thank you for your nice reply! I don't really know about/understand streaming very well but my husband does, thankfully. My Genie box is sadly going down so a decision will be made soon. I just know I need lots of storage space and no time limitations for all my Hallmark movies and other favorite shows! Sabrina...keep an eye out for the new 5G Networks coming out. It is going to be the latest technology that will deliver very fast wireless internet speeds to households. No need for running fiber any more. Everything is run through the cell towers. They are going to start that at the end of this year. By 2020 half of the country is supposed to have access to it. They are initially targeting the suburban areas. The places that have very limited access now like you. There is going to be tons of competition. They are all jumping on board. Lots of choices for us the consumers coming soon. I am same as you. Only watch a few channels. Another good thing that is coming is "a la carte." Not there yet but it's starting. My cable company is now offering a streaming only service where you can pick your favorite ten channels that you want among a bunch of them. YAY!!!!! 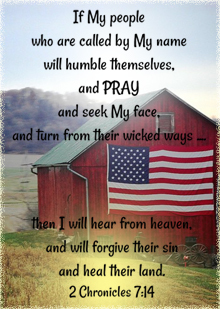 I so appreciate you sharing this awesome good news, Jim! 5G sounds amazing! We have some connection issues where I live, too, so streaming isn't all that easy to do. This will be wonderful to have the access to high speed internet for the availability of services like a Direct Now, Sling, etc... Hope my half of the country is included in this! My family and I say all the time that we only watch a hand full of stations, and yet we pay for so many other channels we don't like, some that we would never even dream of turning to. Having other options would be so wonderful! Thank you for giving us some hope, we've been waiting so long for something better to come through our area and I sure hope this is it! I like this list of movies. A nice mix of some classic older ones and also ones from last year. 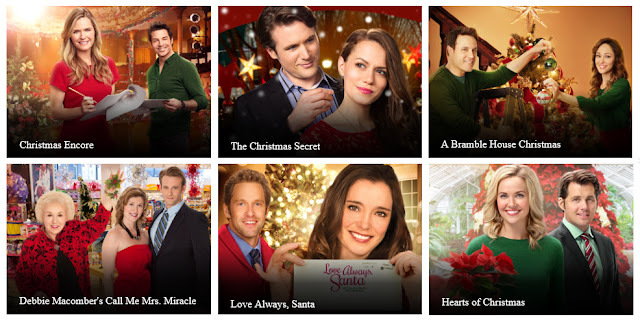 I'm not surprised at all that Hallmark Drama will also be showing Christmas movies. The ratings for Hallmark when they do their "Christmas in July" and in the months of November and December are much higher than the rest of the year, and what a better way to promote your new "Hallmark Drama" channel than to show the popular Christmas movies?! That's exactly right, Mark! More people will definitely want Hallmark Drama, if they show Christmas movies, too! Oh, Net, I'm so excited I just can't wait!! I'll be glued to the set 24/7 and Loving every minute of it. Thanks for the update and "WOWIE", I've got a lot of work to do to give me some lazy movie down time and I certainly will take advantage of it!! I'm so happy I could sing!! LOL!! 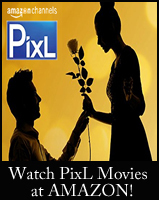 I search Hallmark's web-site by movie. Changes may still occur... so please keep that in mind and check back for updates, especially as we get closer! Do you know if Christmas movies will be playing Hallmark Drama this Christmas season? Last year, many of the older movies were either not shown or shown a couple of time. Would be great to have a third channel! From what I have heard, Steve...yes it does seem that Hallmark Drama will be playing some past Hallmark Christmas movies; however, no brand new Christmas movies are currently planned for any of the Hallmark networks in July. You're welcome, Steve. If it all pans out, it will be one incredible month of Christmas movies for those who are blessed to have all three Hallmark networks. I had intended to come here to mention that "Twice Upon a Christmas" was on the schedule for July 1st, immediately following "Once Upon a Christmas", because that's what I noticed on the Hallmark Movies and Mysteries site a few days ago. However, Once Upon a Christmas, Twice Upon a Christmas and Debbie Macomber's Mrs. Miracle have all disappeared from July 1st!!! Right now, they are not on the schedule at all (although there is still plenty of time for them to be added in to that following week). So the Christmas schedules changes are already happening. Many more to come, I'm sure. I wonder if Hallmark Drama will do the same thing in November and December this year (go all Christmas 24/7 then) and show several of the movies that the other two channels seem to ignore last year (not show at all or show only once at very odd times)--The Case for Christmas, November Christmas, Northpole, etc. just to name a few. It looks like they changed the dates on the Gold Crown Christmas page back to a late June start, but they have not updated the Christmas Keepsake Week page as of May 17 (the page still shows a July 13th start date instead of July 6).